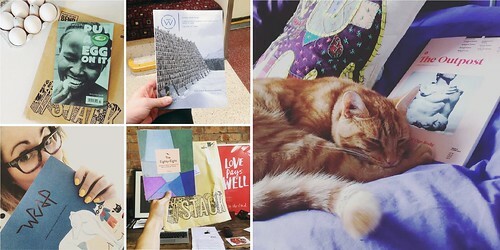 A selection of Stack subscriber photos. 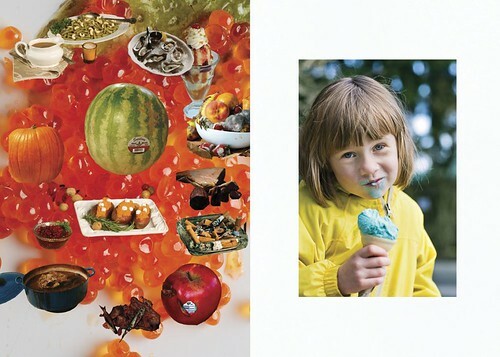 Spread from The Gourmand no. 6. The BSME holds two annual awards: Rising Stars in the Spring and the long-established BSME Awards in the Autumn. 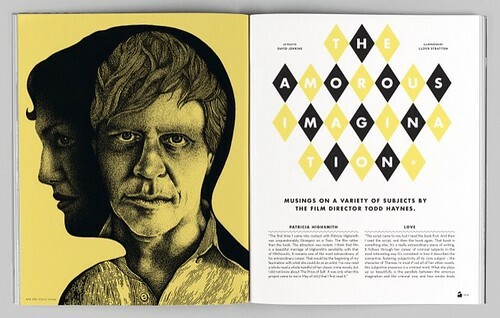 Last Monday (16 November 2015), Eye’s Simon Esterson won ‘Art Director of the Year – Business’ for his work on Pulp, which Eye Magazine Ltd produces for Fedrigoni Paper. 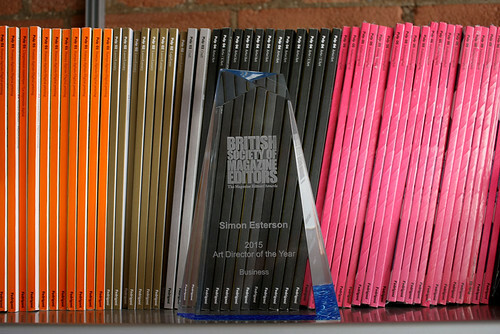 Simon Esterson won ‘Art Director of the Year – Business’ for Fedrigoni’s Pulp in the BSME (British Society of Magazine Editors) Awards 2015. 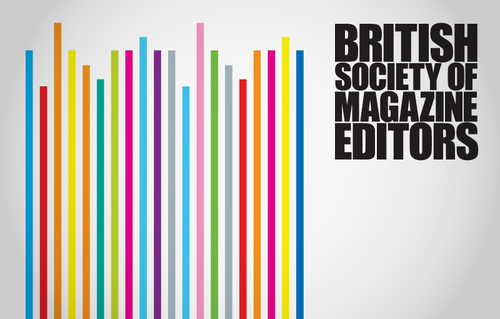 Next Monday’s event will be hosted by Dickon Ross, the BSME chair, and John L. Walters, editor and co-owner of Eye, which went independent in 2008. Ross, also the editor of Engineering & Technology magazine, lives in Shoreditch, and was intrigued by the indie titles (like Hole and Corner, Cereal, Riposte, etc.) that he encountered in East End shops – ones that rarely get racked in West End newsstands, or show up in the BSME Awards. Walters (the only indie mag editor on the BSME committee) and Ross decided it would be a good idea to bring the two worlds together for a night, and so ‘Indie Mag Madness’ was born. 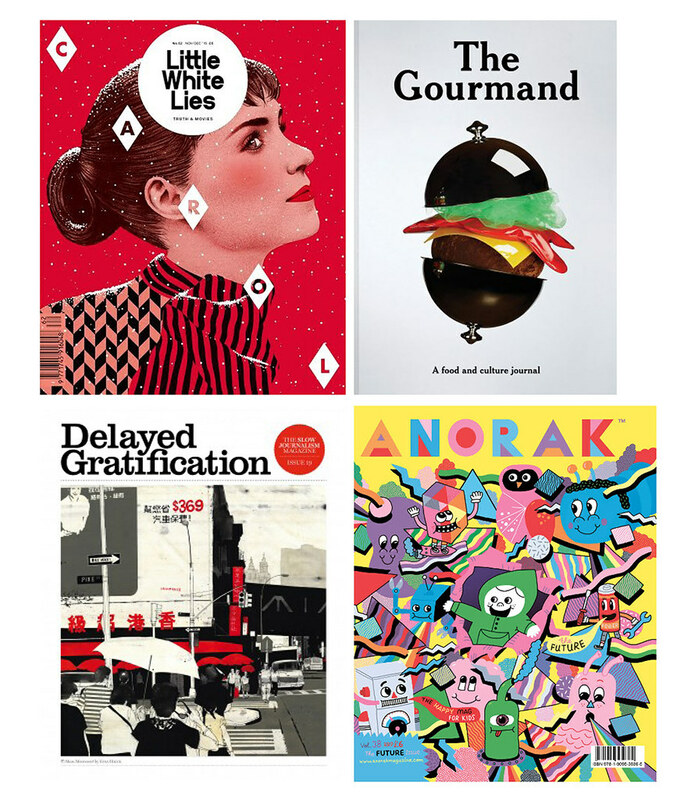 ‘Indie Mag Madness: Print for Digital Natives’ will take place downstairs at Mother in the Biscuit Building, 10 Redchurch Street, London E2 7DD on Monday 23 November at 6:30pm. Tickets are £15, £5 for students and free for BSME members. To book, please email admin@bsme.com. 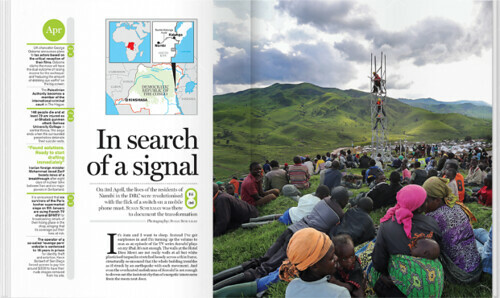 Spread from Delayed Gratification no. 19. Spread from Little White Lies no. 62 ‘The Carol Issue’.